NZ war (Maori war) graves at Battle Hill Farm Forest Park, in Horokiri Stream Valley. 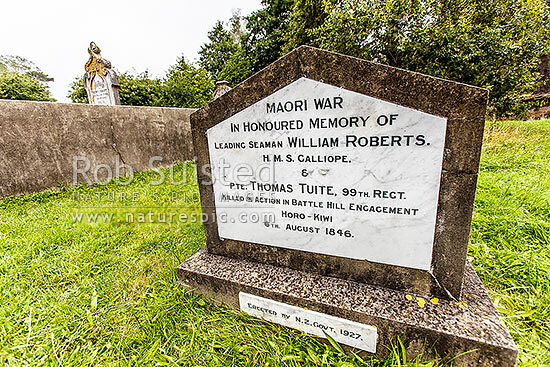 Leading Seaman Roberts and Private Tuite, killed 6th August 1846. Managed by the GWRC, Pauatahanui, Porirua City District, Wellington Region, New Zealand (NZ), stock photo.